Tobol River region in Eastern Siberia. 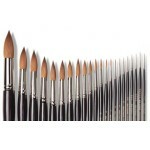 Excellent for Watercolors, Illustration, Animation & Rendering. 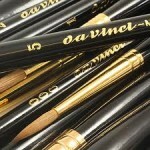 • All brushes are handmade from raw material to finished brush by skilled artisans at the da Vinci factory. • Seamless, nickel- or gold-plated brass ferrules are rust-resistant and long lasting.